Have a gym leaderboard for each WOD (AMRAP and for-time) to motivate and encourage athletes to push harder. Each athlete gets a customized leaderboard tracking their progressions and PRs. You can customize our live results widgets to match your own branding to keep your message on target and foster community. The leaderboard keeps our athletes motivated and pumped to push each other that extra bit each morning. Give your athletes the extra edge they need to push through the pain, and build your community through motivating each other to climb the leaderboard. Each day put your WOD leaderboard on display on the gym wall and post workout results immediately to see leaderboard changes reflected on the wall (or your website). 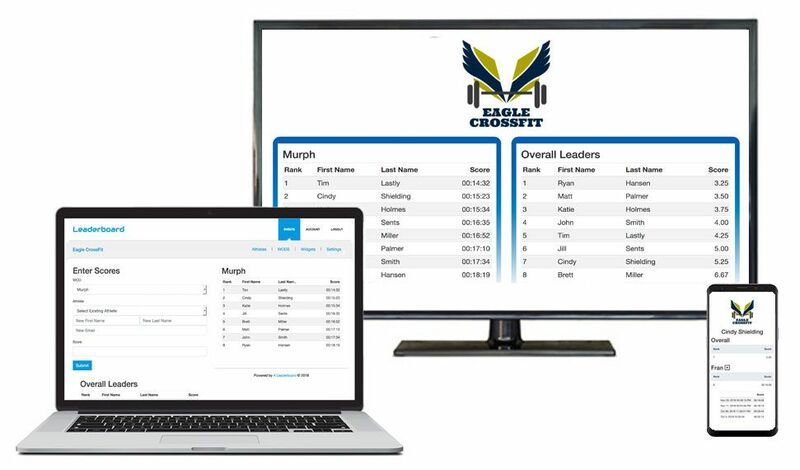 Athletes can also monitor their own personal leaderboard showing their PRs as well as their full history of progress in each workout activity.